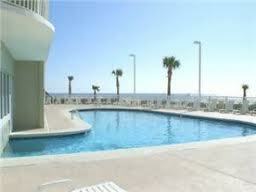 Time to sell your Tradewinds condo? Read about today's resort-market buyer. 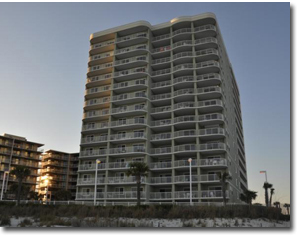 Tradewinds condos in Orange Beach, Alabama suffered extensive damage from hurricane Ivan, but have since been completely redone. These condos are great rental income producers, but be careful as not all of the Tradewinds condos directly face the Gulf of Mexico: some of the units for sale in the building offer partial or side views of the Gulf. 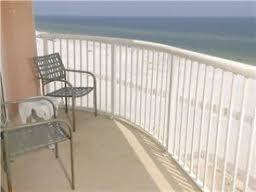 Tradewinds is in a great location in Orange Beach and close to most area attractions. Tradewinds was built in 1999, consists of approximately 112 condos and has a heated indoor pool, a great amenity during the off season. Please let us know if you would like further info for Tradewinds or any other condos, homes, or real estate along the Gulf Coast or would like to schedule a private viewing by emailing info@condoinvestment.com or by calling 251-Area-Pro for immediate assistance. Planning to rent your condo? Read our RENTAL TIPS to help increase your Tradewinds rental revenue. 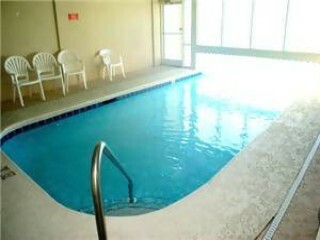 Click here for aerial photos of Tradewinds condominium in Orange Beach, AL.